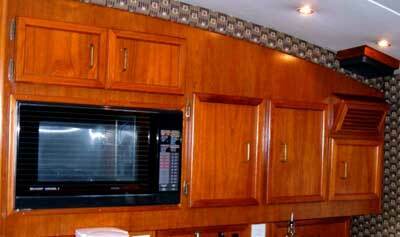 Since "Epicurean" is part of the boats name the galley has to be a focal point. Mariner Italian faucets grace us while marble look Formica adds to the elegant look. The galley is a task to see how well the smallest of kitchens be designed for true function.